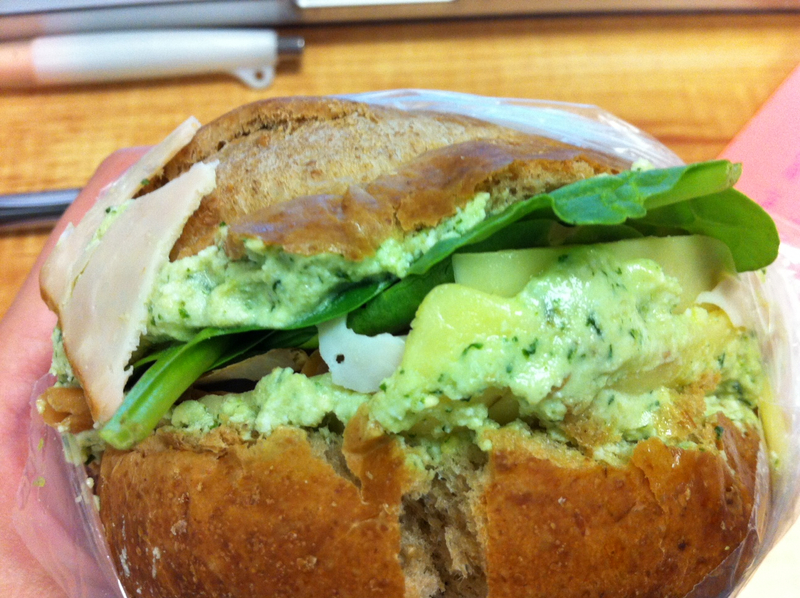 After making pesto, I knew I wanted to include it in my sandwich. We also had some ricotta, so I whipped up a quick spread. This was absolutely delicious. It’s a flavorful, nutritious spread, definitely adds something special to a sandwich. Mix all ingredients well and spread on sandwich bread and top with favorite ingredients.